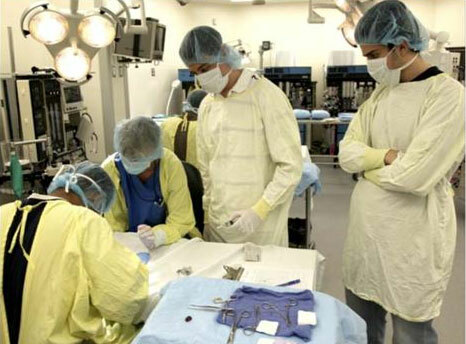 During July and August 2010 many Alfaisal medical students became researchers and went to laboratories in Canada and the United States to carry out research projects. They have been very successful and many papers co-authored by these students are being written for submission to scientific journals – one is already accepted. 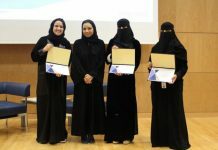 In addition, many other Alfaisal medical students went to King Faisal Specialist Hospital & Research Centre (KFSHRC) in Riyadh where they gained valuable clinical experience. In this inaugural colloquium for the 2010/2011 academic year, our students kept the audience rapt as they gave presentations on their experiences. Mohammed I.K. Anindo, a third year student, said that “this experience was life changing. It has helped us evolve from “A” medical student to “THAT” medical student who can think outside the box. We can now not only understand the concepts in medicine but have learned how to question them. 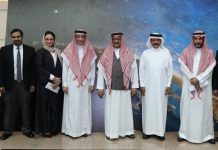 Research opportunities like these will not only help Alfaisal in reaching a critical mass of thinkers but also lay down the pathway for great achievements for mankind as a whole”. Professor Norm Swazo from the College of Science and General Studies noted that “the students showed themselves to be proficient in their research experience and were strongly motivated for intensified research activity. This is highly commendable”.